The Italian Society of Hair Science and Restoration is a non-profit, apolitical scientific Association whose purpose is to establish Trichology as a Scientific Branch of Specialized Medicine and in the broader sense, a branch of Humanistic Culture. We are the largest Association of Trichology in Europe. 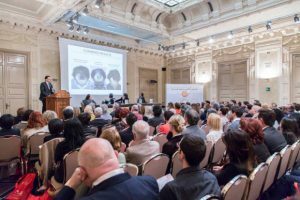 The Italian Society of Hair Science and Restoration organizes Scientific Conferences twice a year. The conferences are dedicated to all those who are involved with the discipline such as Doctors, Surgeons, Pharmacists, Biologists, Chemists,Technicians with or without university degrees, and Hairstylists. Our conferences focus on the art of Trichology Medicine and Surgery, presenting the latest discoveries that are constantly emerging within the sector. The conferences are held in the spring and fall each year. We often call our conferences “Meetings” to highlight the importance of bringing together those who work in the sector, something that until a few years ago was not considered important. The Italian Society of Hair Science and Restoration organizes Training Courses both on-line and as hands-on practical courses. Through our training courses, a professional will acquire the knowledge and skills which will distinguish him from the competition. He will become aware of the pathologies of the scalp and of hair as well as become capable of giving not only correct aesthetic consultations but also advice based on science. Our Docents are among the most important specialists in the sector of Dermatology and Trichology. They are all members of the Italian Society of Hair Science and Restoration which has always curated this important medical discipline. The Italian Society of Hair Science and Restoration felt the need to institute a Public Registry that lists doctors who are recognized and have the necessary qualifications to care for patients with pathologies or aesthetic concerns relating to scalp and hair issues. 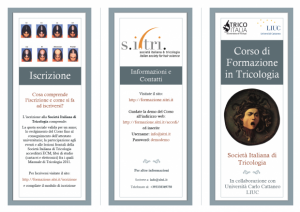 Therefore, on November 10, 2012, at the Assembly of the Italian Society of Hair Science and Restoration it was decided to establish the “Trichology Doctor Registry by the Italian Society of Hair Science and Restoration – S.I.Tri.” and to approve the relative rules. As a doctor, if you wish to sign up for the registry, please see how to do this at our website: www.sitri.it. Each semester the Italian Society of Hair Science and Restoration publishes a scientific journal that collects new research and updates from the sector. Since its first publication, there have been 39 issues of the Italian Journal of Trichology, all of which can be downloaded in pdf format from our website www.sitri.it. 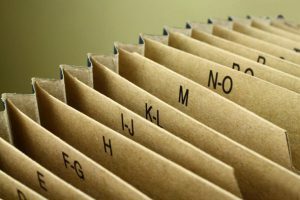 Everyone who signs up for the Society will receive a collection of the most important publications issued in the past years and automatically is subscribed to the journal. All the journals can be read on our website: www.sitri.it. The Italian Society of Hair Science and Restoration provides on its website www.sitri.it a service Find a Trichology Doctor for its patients and anyone else who is looking for a Trichology Doctor in Italy. 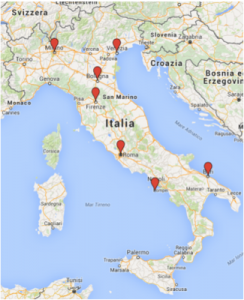 Using a simple Geolocation program, the website allows you to find a Trichology Doctor closest to you. All the doctors present in the database are members of S.I.Tri.